Bike advocacy has changed dramatically since privately owned e-scooters began flooding American cities about a year ago, advocates from cities across the country say. We reached out to key bike advocates in Kansas City, Baltimore and Nashville to get a sense of just how big of an impact e-scooters have made in their cities. Independently, all reported it is pretty huge — especially in the way e-scooters expand the pool of people using “active” transportation. 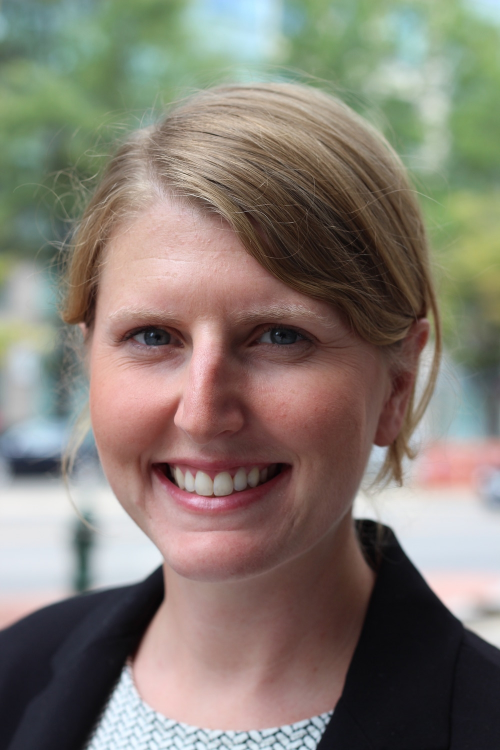 Liz Cornish, the executive director of Bikemore, says the arrival of e-scooters and dockless bikeshare in Baltimore has made her job much, much easier. About 180,000 people have registered as users on either Bird or Lime scooters since they appeared on city streets in July — an enormous number. “The ridership in Baltimore has just been way larger than I think anyone had anticipated,” Cornish said. Some of the reasons seems to be specific to Baltimore, she said, while others don’t. But Baltimore has long struggled to implement a workable city-sponsored bike share. Dockless bike and dockless scooters have neutralized that concern, she said. And it helped removed some other key concerns as well. Cornish said the scooters and bikes seem to be filling a real need. Scooters also lack some of the cultural baggage bicycles have. 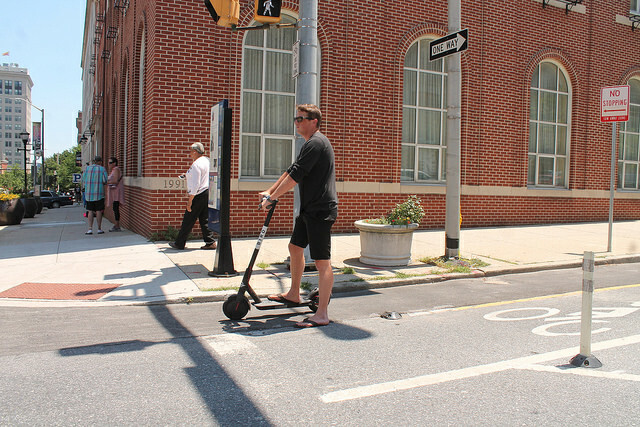 Dockless bikes and e-scooters have definitely made advocating for bike infrastructure easier in Baltimore, says Cornish. Eric Bunch at Bike Walk Kansas City agrees that e-scooters have a lot of appeal and are being well used in Kansas City. One of the most noticeable benefits is that e-scooters have really helped create a street life in Kansas City, that was lacking until recently, even downtown. Bunch said the presence of e-scooter moving the conversation about bike lanes forward as well. 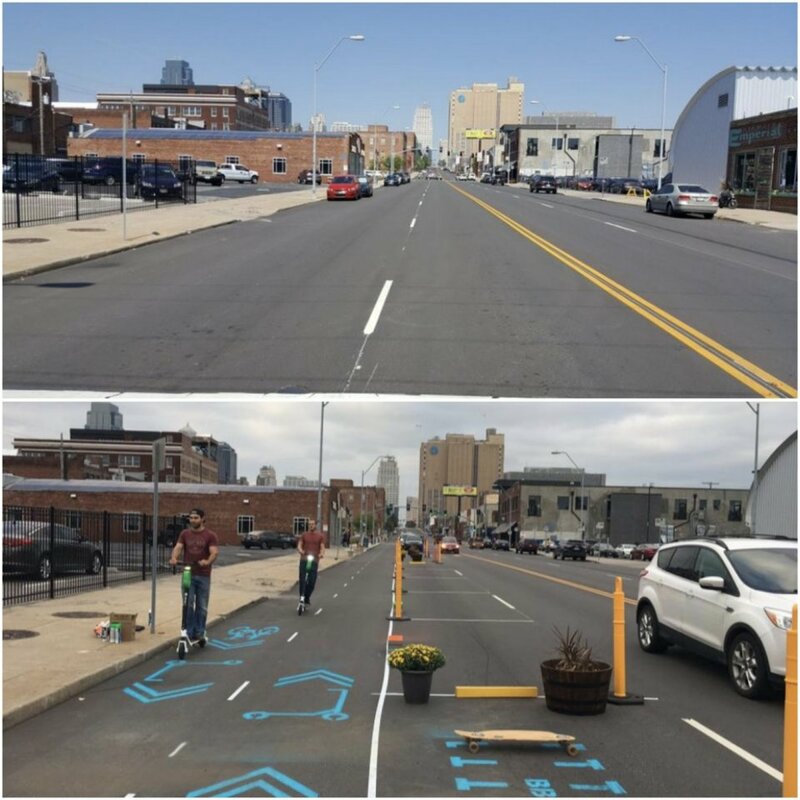 In the fall, BikeWalkKC helped create a pop up bike and scooter lane in Oak Street. But Bunch has some concerns as well. For one, Bike Walk KC has long managed the city’s docked bikeshare system. Kansas City has negotiated with Bird and Lime to receive $1/scooter/day in payments. Lime was even making addition payments Bike Walk KC and the local transit advocacy group for the privilege of operating in the city. The money has been great. It provided several thousand dollars in operating support to Bike Walk KC, Bunch said. But Bunch says Bike Walk KC can’t afford to be held to the same standard with their docked bike share, which they operate at a loss as a public service. Bunch is also concerned what will happen if the companies’ can’t make money the way they imagined over the winter. Lime already pulled out of Kansas City for the winter. 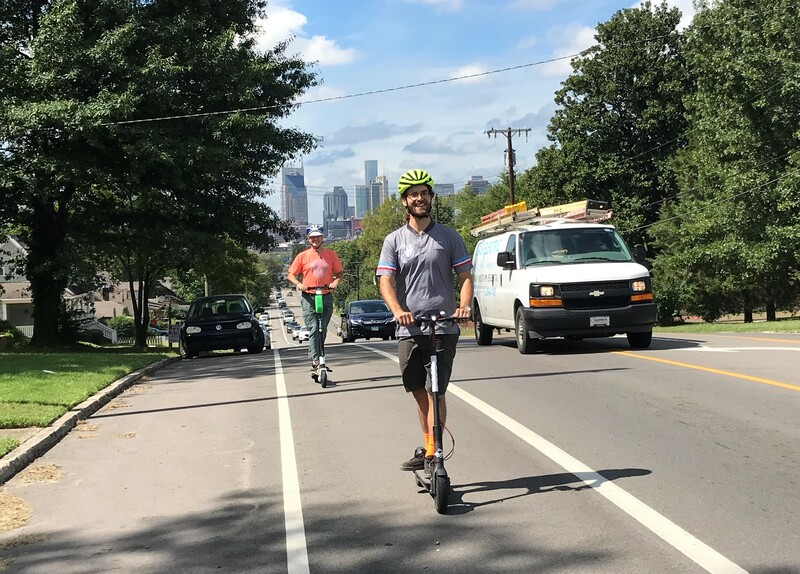 Nora Kern, the executive director of Walk Bike Nashville, says a lot of people are using e-scooters in Nashville — and it’s a different crowd than has been biking, she says. “Scooters seem to be achieving some of the goals that other modes have been trying to but haven’t been able to achieving yet,” she said, in terms of getting people out of cars. “If it works, I think it could really really be a game changer,” she said. In Nashville, people are allowed to ride scooters on the sidewalks, as long as it’s not a business district, and Kern thinks that is helpful and appropriate, given the context. But even in the downtown area, there aren’t any bike lanes. Although Walk Bike Nashville is gearing up for a campaign to add some. Bird and Lyft are even providing some financial support for the campaigns. Some of the media reporting on e-scooters has been somewhat sensational, Kerns says, or has ignored the wider context. Cars killed 23 pedestrians in Nashville last year. But there have also been issues with people parking them on the sidewalks, sometimes creating accessibility issues for people with disabilities. Some medical researchers in Nashville have raised concerns about injuries. But right now, the evidence is mostly anecdotal and it’s hard to evaluate, said Kern. But she said there’s a lot that’s unknown. “I’m not sure the technology is perfect yet and I think that is causing some of the problems with crashes,” she added. The excuse that cars kill more pedestrians than (everything) holds no water with pedestrians. quick note: drivers, not cars, killed 23 pedestrians last year in nashville. Not really, he or she is consistent, they want sidewalks to be for pedestrians, not wheeled vehicles going faster than walking speed. Cyclist that dehumanizes pedestrians is blindingly obvious. perhaps a lot of time on his/her hands? Legislation being considered by the City Council would give police the option of jailing e-scooter riders for up to 30 days for minor infractions.